Brace yourself. Devastation is nigh. The “silver tsunami” roars. As the large boomer generation ages, the percentage of older people in America will increase. This will bankrupt government programs, overwhelm health care systems and run adult children into the ground, according to media reports. America is doomed. The thing is, aren’t there at least a few good things about older people—like experience, and sometimes wisdom, and maybe even other stuff? And if that’s true, could we view societal aging as an opportunity rather than a disaster? Coming of Age in Aging America is being used across the country to start conversations about such change. It’s available for screenings—in communities, workplaces, city halls and on college campuses. The film points out that there’s something almost everyone can do to kick-start change, even if it’s just altering our own outdated preconceptions. Despite the fact that the aging of America is often attributed to boomers, that generation comprises only the first wave of what’s going to become a silver tsunami. The demographic change is permanent, Coming of Age in Aging America points out. So it’s not that society needs to weather a boomer storm and then go back to “normal.” Society needs to be altered for good. That’s a fact that even the film’s producer and director, Christine Herbes-Sommers, didn’t realize until she was working on her 2013 documentary What Time Is Left, about how one man’s two grandmothers were aging differently. By the time What Time Is Left was released, Herbes-Sommers had been making socially conscious documentaries for 40 years—since a few years after she graduated college in 1970. “The women’s movement was in full throttle, and I suspected that films could move that agenda,” she says. Her filmography has spanned a range of societal issues, including racism and income inequality. 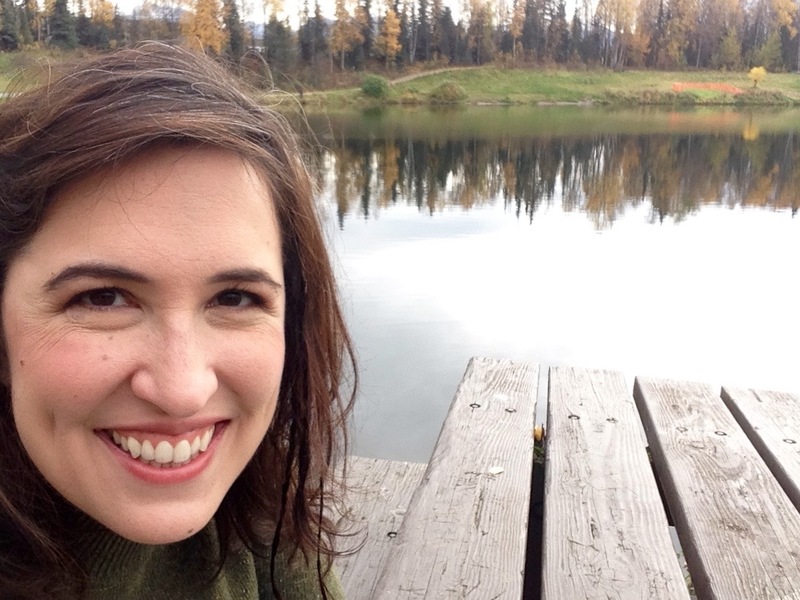 She’s won two Alfred I. duPont-Columbia University Awards. It was What Time Is Left that piqued the Silver Century Foundation’s interest. 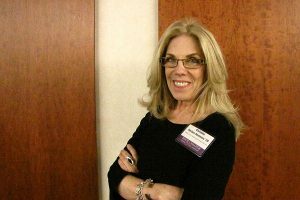 Katherine Klotzburger, PhD, the organization’s founder and president, had been struggling to find the perfect grant-making path. Since its launch in 2002, the foundation had supported a variety of projects, including local film screenings and a transportation program for older people. But Klotzburger wanted to make a wider impact—to combat ageism’s effects from the inside out. She wanted to change how people across America viewed their own aging. When her grants consultant, Lois Favier, brought her the proposal for Coming of Age in Aging America, something clicked. For one thing, the film’s nonageist message would speak to a key demographic Klotzburger wanted to reach: people in their 40s and 50s, who, per the cultural narrative, were anticipating a future of long decline. This film would present a different, positive view of aging. It would show how people in middle age “could continue to work and be a part of mainstream society—and how society could change itself to deal with this rapidly changing demographic,” Klotzburger explains. Plus, the film would be aired nationally, providing the wider platform Klotzburger had been looking for. With Coming of Age in Aging America, the Silver Century Foundation began a new grant-making direction—one that matched the organizational theme already in the works: planning for a longer life. 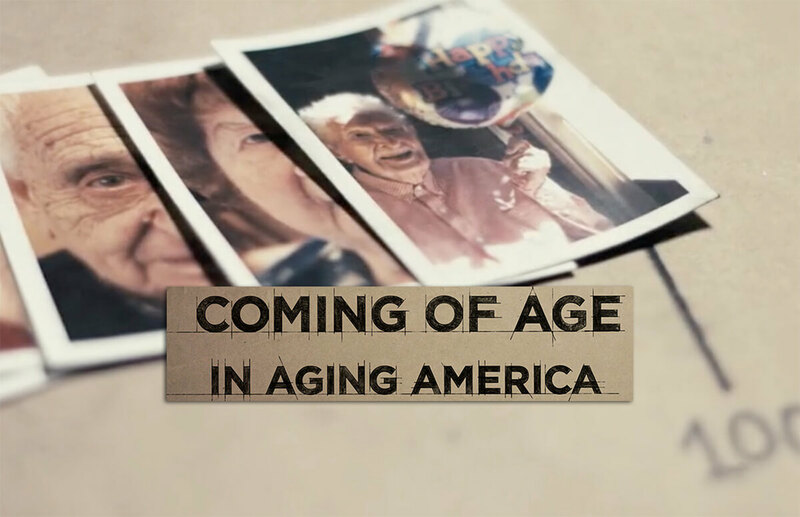 Coming of Age in Aging America, which premiered in 2016, has aired on PBS, but its larger purpose is to prompt ongoing conversations in private and public screenings across the country. The DVD is available for purchase at www.theagingamericaproject.com. The website, which the Silver Century Foundation also helped fund, has a wealth of free resources, including a toolkit to help people organize screenings for policy makers, students, communities and workplaces. Herbes-Sommers, 69, who is now semiretired and studying classical drawing and painting, helps organize large workshops focused around the documentary. We caught up with her for an update on the film—and on the societal changes it proposes. SCF: In the screenings you’ve attended, what idea from the documentary has resonated most with people? SCF: The film proposes a new life course: instead of jamming intense work into middle age, people could work less then, but work longer into their older years, extending retirement age, since we’re living longer. People could even be allowed to collect a year of Social Security in midlife and delay it later. And 20 years of being regarded as doing nothing or as fit for doing nothing. Ageism is certainly a huge factor in all of that. I recently talked to people who have been the victims of ageism, particularly around the 2007 meltdown. Actually, when the economy recovered, they did not recover their jobs. Their jobs ended up being taken by younger, cheaper labor. SCF: That brings up one of the challenges of taking time off in middle age. It can be hard to get rehired, because of ageism, technology changes and other factors. How do you propose tackling that? CHS: [By having] a universal expectation that you could leave the workforce and there would be no stigma attached to it. SCF: Some employers do value the experience of older workers, as the film’s segment on WellStar Health System in Georgia points out—a segment the Silver Century Foundation helped fund. What led you to that company? CHS: [In preproduction] we learned that one of the areas in which there was going to be the greatest shortage of skill, because of the aging population and ageism, was in the area of nursing. We interviewed a really great guy who was a retired nurse who had to retire because it was too much on his body. But he kept on working with WellStar, and one thing led to another, and we learned that WellStar had instituted all of these changes in order to retain all of these nurses. But in the meantime, we found that what was good for older workers was good for younger workers. And that’s a big theme in the film—that there is a brain drain in some industries, and older people are capable of working—not only capable but add to a work environment—but certain changes need to be made in order for them to function better physically. So what WellStar did is, they redesigned the nurses’ station. The nurses walk so much, [so] they changed the flooring. They redid the patients’ rooms so that nurses could face the patients rather than have their backs to them while they updated their charts. And they also did very small things. I wish I had gotten it into the film, but they changed all of the chairs in patients’ rooms so that the seating was much shallower. If you have a deep cushion, you’re way back in the chair. So they brought in chairs that had a much shallower seating area, and the nurses could help pick up and move the patients much more easily because they didn’t have that extra four inches of body weight to move. Another important thing about this is that all these changes were done with the active involvement of the nurses themselves, and the medical personnel themselves—older and younger. SCF: What are some benefits to having older people in the workforce? CHS: As the film points out, younger brains and older brains have different strengths. They also have different weaknesses. The younger brains acquire new information faster. They don’t necessarily process it faster in a problem-solving way, however. So in that way, the two sets of cognitive faculties are different and compatible. Very compatible. They end up creating greater efficiencies. On the emotional side, which always surprises kids when they see the film—Laura Carstensen at Stanford said [to college students], older people are much happier than you are, and the data bears it out. And, in fact, older people have greater what she called equanimity. They can balance the good and the bad with greater facility. Younger people are anxious, in part because their prefrontal cortex—that part of the brain that sort of organizes emotion and hard content—is not fully developed until the late 20s. So older people tend to be less impulsive. They are more careful and emotionally more grounded. So the way you combine those two things—I mean, sometimes impulsivity and the kind of “let’s do it!” young energy is great. Well, the brakes that come on from older people are also great and also useful. The other thing that employers report is that the work ethic among older people is much better than the work ethic of younger people. There are lots of reasons for that. It has to do with the structure of the economy, our experience growing up with different kinds of jobs, the expectations that we had when my generation was younger—that you’d have one job and you would climb the corporate ladder. Kids don’t do that anymore, nor should they, because the economy has changed. SCF: As you said earlier, another of the film’s main themes is that the “aging of America” isn’t just a boomer thing; it’s permanent. People are living longer. Are people starting to realize that? CHS: Anecdotally, I will say that it’s very difficult for this idea to take hold. But more and more, there’s less of a sense that all these older people are a big problem and more of a sense that, yeah, all these old people are going to be a big problem, but why should they be? There’s a small shift there. SCF: Overall, are you pessimistic or optimistic that the societal changes the documentary proposes will happen? CHS: I’m very optimistic, and I think the people who are going to be doing it are older people themselves. I don’t think the federal government is—except for Social Security—an important trigger for this. I do think states are, when they look at their Medicaid and other dollars. Certainly individual small communities, as they build new structures, are beginning to think about the older populations. SCF: You’ve moved recently yourself—from Boston to North Carolina. CHS: I’m 69, and you can read me as kind of a poster child for the Aging project. As I approached my 68th birthday, I thought, “Can you physically do this really taxing physical and anxiety-producing work through your 70s?” And the answer was no. SCF: So, even though you’re still involved in screenings for Coming of Age in Aging America, you effectively retired from filmmaking and joined an atelier—a small, intensive art class—to study classical drawing and painting. So I think the more that we as older people get out there and off the golf courses and take a leap of faith—more than once a day, I say, “What have you done, Christine?” I’ve left Boston, I’ve left friends, I’m not making films anymore. And I’m doing it alone. But it’s not so hard in some ways—emotionally. I don’t know how quite to explain it. The worst part of it is actually moving your goods and working out the finances. But the easier part is just saying to yourself, “I have about 15 good years ahead of me, and I want to be useful in this way, or I want to learn to do this in this time,” and to really believe that you can do it.